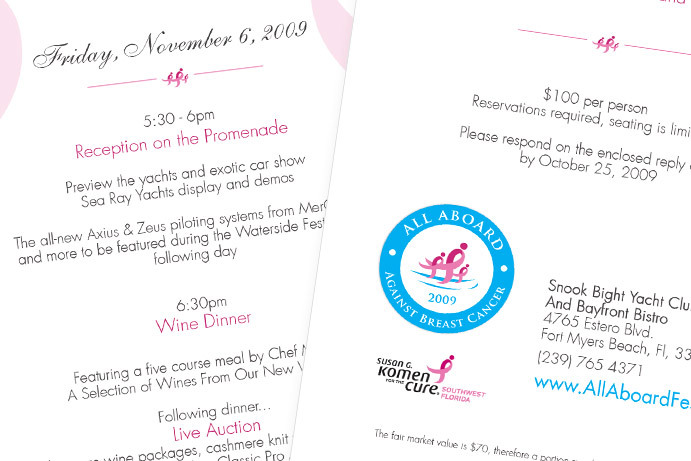 We donated our web, logo and graphic design services to this wonderful event for Susan G. Komen. 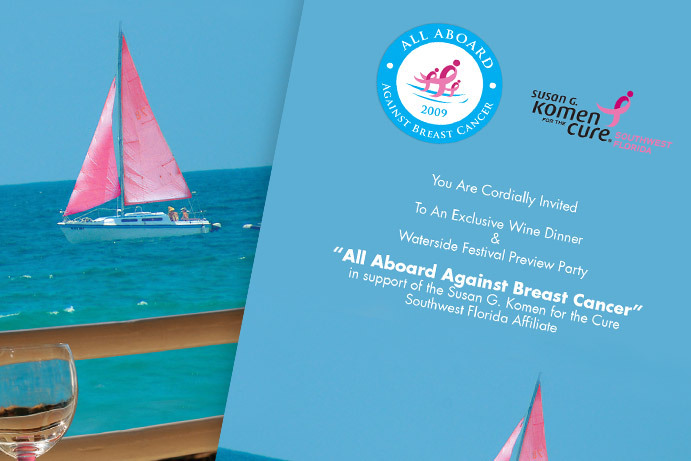 The first waterside festival event was held at Snook Bight Yacht Club & Marina, and to date, the event has raised about $170,000 for Susan G. Komen Southwest Florida Affiliate. 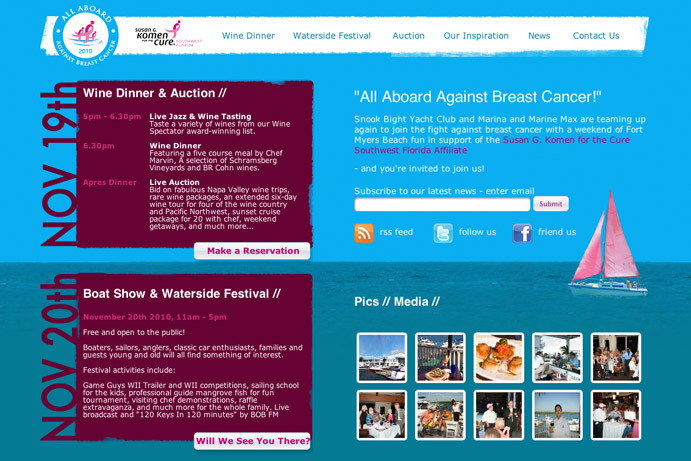 We designed the All Aboard Fest identity, event invitations, print ads, and the event website.